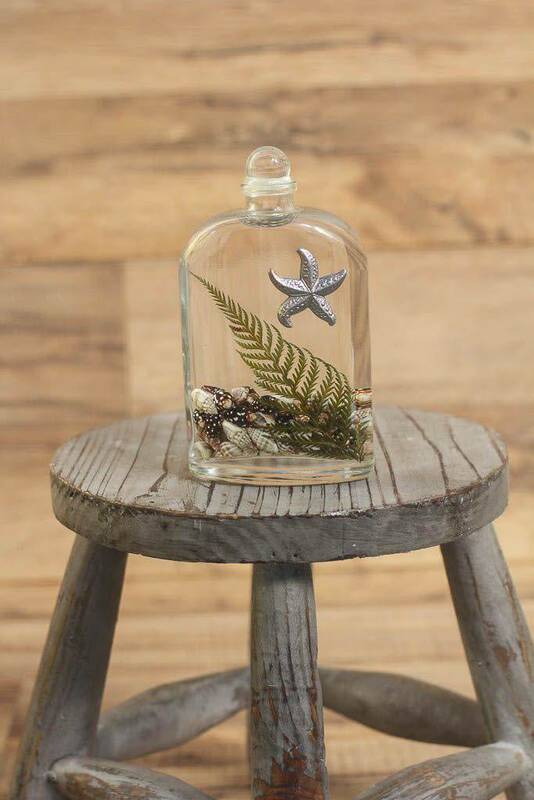 Handcrafted in the USA, the refillable Lifetime Oil Candle is filled with coastal start fish, natural seashells, decorative seaweed and vines. 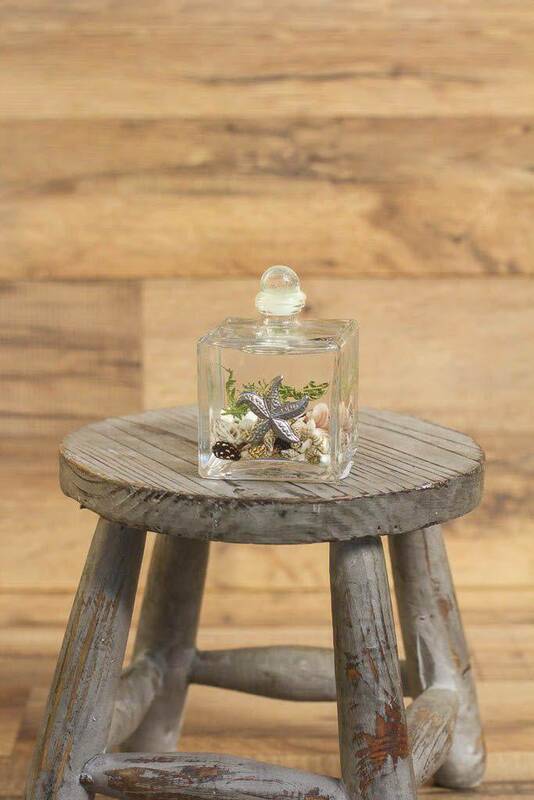 These are amazing coastal gifts for your home! 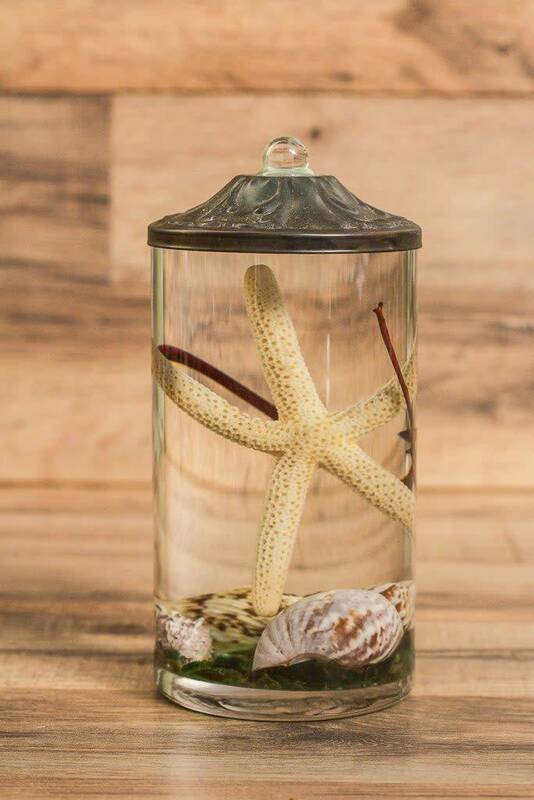 Unique everlasting centerpiece! 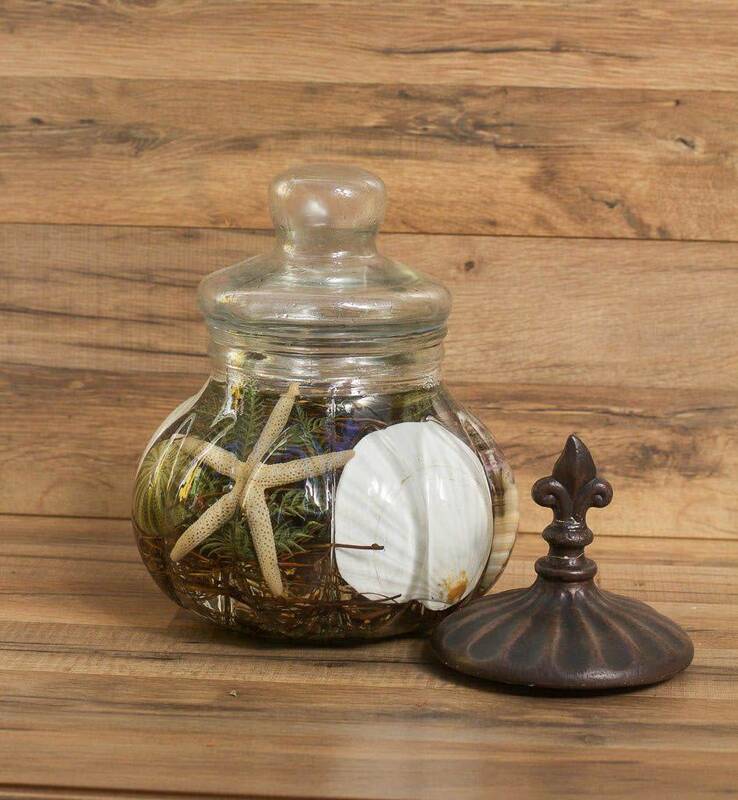 Handcrafted in the USA, the refillable Lifetime Oil Candle is filled with coastal start fish, natural seashells, decorative seaweed and vines. All contents have been preserved to last a lifetime including the lifetime fiberglass wick(s) that never needs replaced. 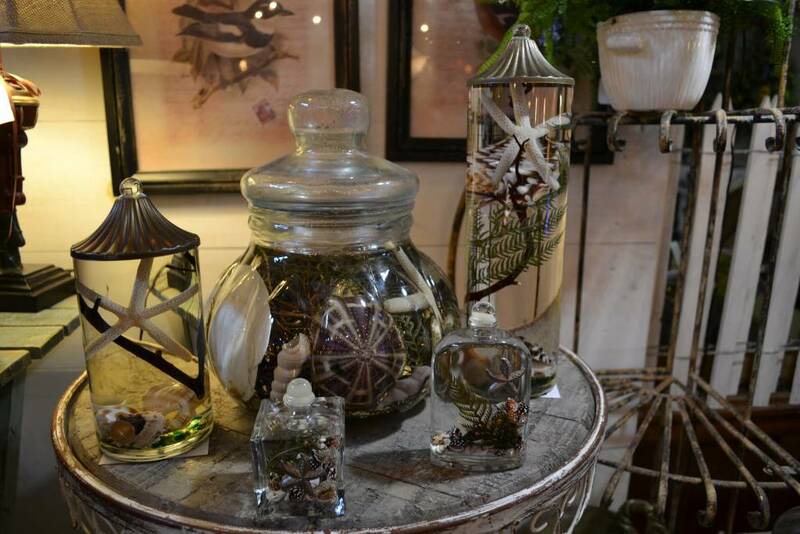 The Lifetime Candles burn using smokeless and odorless paraffin lamp oil. Great for all seasons and settings. This candle comes pre-filled with oil ready to burn and includes your lifetime wick(s) and Medium Center Piece include fleur-de-lis top. Candles are sealed for shipping. Once received follow instructions in the box to unseal marble or glass top and insert wick. Metal stands are not included but available for purchase.